Since 1669, the Gautier family has elaborated a selection of highly expressive chenin blanc wines. 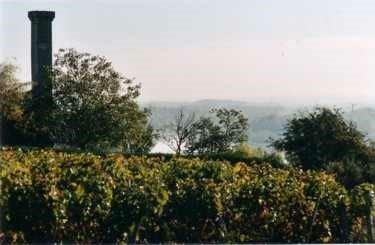 Our very own "Domaine de la Châtaigneraie" is situated in the heart of the Loire Valley in Rochecorbon and Parçay-Meslay, on the right bank of the Loire River. Our winery is well-known for the richness of the region's soil and the detailed attention we give to the making of our Vouvray wines: dry, semi-dry, sweet and sparkling. In 1981, Benoit Gautier became the newest member of the Gautier family and has been recognized as one of the most talented Vouvray winemakers of his generation, earning numerous national awards and assessed 90+ by Robert Parker and the WineSpectator on several occasions. “A racy, dry version, with pear, green almond and quince notes backed by a long, minerally finish. Very stilish.” 100% Chenin Blanc can age up to 8 years.